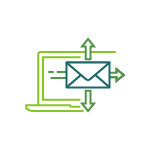 Choose First Class mail (USPS) to get your business documents to your recipients in 3 business days or less with higher deliverability than bulk mail. MMH makes it easy, in the mail stream in 24-hours or its free. 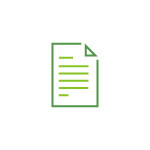 Choose Certified Mail for business letters that need to be tracked once successful delivery or delivery attempt has occurred. 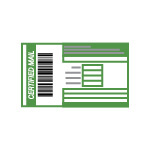 Complete everything online - including online signature receipts - using the MMH mail tool! 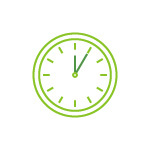 Choose Priority Mail (USPS) for letters requiring priority handling - sorted first, cargo plane delivery - which means in many cases your documents arrive overnight. Flat rate pricing. Weights up to 70 ounces. 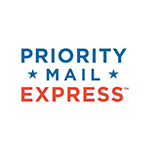 Priority Express Mail® is the fastest mail service offered by the USPS. It provides guaranteed overnight delivery service by 3 p.m. for any mailable matter and includes $100 of insurance coverage. NO STUFFING, METERS OR STAMPS. NO TRIPS TO THE POST OFFICE. NO MINIMUM ORDERS OR CONTRACTS. Simply open your mail file in Word, Excel or PDF and select myMailHouse from your list of available printers. Mail pieces auto-load for review. 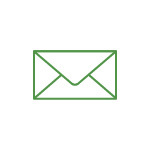 Click print and your business letters are sent directly to our commercial mail house. SEND 1 LETTER, 1 TIME OR 1,000's. NO MIN'S. NO CONTRACTS. 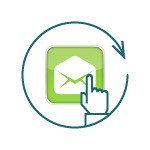 MMH is your mail tool whether you send one letter one time or thousands of pieces. Send on your terms, without being tied down by membership fees, contracts, minimum orders, setup or maintenance fees. no tech help necessary. anyone can use myMailHouse. Send my mail online? Can you save a file to your computer? Can you create an online account? Can you print a Word/Excel/PDF file? Congratulations, you are ready to send business mail with MMH! Thanks to co-mingling on MMH’s digital printing presses, you save 25% or more for black/white and full-color mailings. Wholesale rates for all! 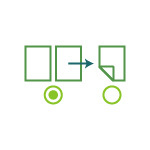 Choose simplex (1-sided), duplex (2-sided) or both when sending business letters via myMailHouse. Simply click which option you prefer using the mail tool before you print. MMH is focused on enabling maximum efficiency, which is why we offer standard USPS envelope sizes. Choose from #10, 6"x9" and 9"x12" flats. No postcards or packages.